Canaan is meant to be a perfect city in which people live in peace and harmony without the distraction of technology, money, or competition. Every twelve years the town breaks into chaos and then their memories are erased. The only way they know who they are is by reading the book that is tied to them at all times. Nadia did not forget her memories during the last forgetting and therefore knows some of the things people chose not to include in their books, including people, they hoped to forget. She has no idea why she didn’t forget her memories, but it definitely didn’t make her life any easier since her mother and sister treat her like she doesn’t belong in their family. Meanwhile, Nadia has begun slipping over the walls of the town in search of food, answers, and adventure. She is caught by the glassmaker’s son and he demands she take him with her. As they explore outside the walls they learn there are many things about how their town was set up that no one ever passed down, despite her suspicions that not everyone is losing their memories every twelve years. Will anyone ever believe them about their discoveries? Will it be enough to save them from this terrible fate of forgetting who you are every twelve years? This story has a dystopian feel similar to The Giver, The Testing, and Matched. It takes awhile to fully invest in Nadia and her quest to find answers about her town. Once she begins finding answers the book’s pace picks up and takes off while many obstacles rise up to try and stop her from sharing the truth of their existence with others. The main characters are well developed and everyone’s motivations and actions are adequately explained by the end. Readers who enjoy these dystopian books will be curious for more, but it isn’t quite as engaging as some of the other titles in this genre. 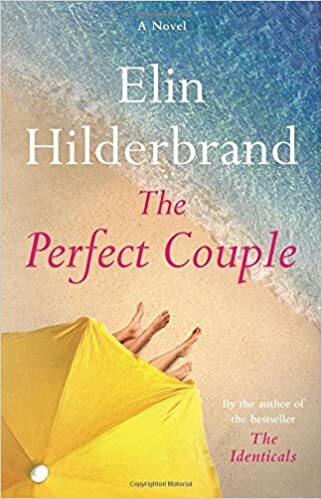 When tragedy strikes at an upscale Nantucket wedding, everyone is shocked and horrified for the poor couple who will have to postpone their wedding. The bride had discovered the body of her maid of honor in the early morning hours the day of the wedding and had become so upset that she had to be sent to the hospital. When the police begin investigating, however, they find out that not only did the couple have a few secrets but so did the entire wedding party, including the maid of honor herself. Is it possible this was not an accident? Will they ever be able to recover from such a terrible event? Fans of mysteries will love this fun, fast read. Celeste is dealing with the breast cancer diagnosis of her mother when she meets the man of her dreams, Benji. Benji comes from a very wealthy family who never has to worry about anything and Celeste is swept up in the excitement of his lifestyle, but is he really the right man for her? Meanwhile, her best friend and maid of honor, Merritt, has been seeing an older married man and is also questioning her life choices. Will she be haunted by her past choices forever? Benji’s parents and Celeste’s parents have secrets of their own too that they are hoping won’t spill out before the wedding. In all this craziness how are detectives supposed to find out what truly happened? 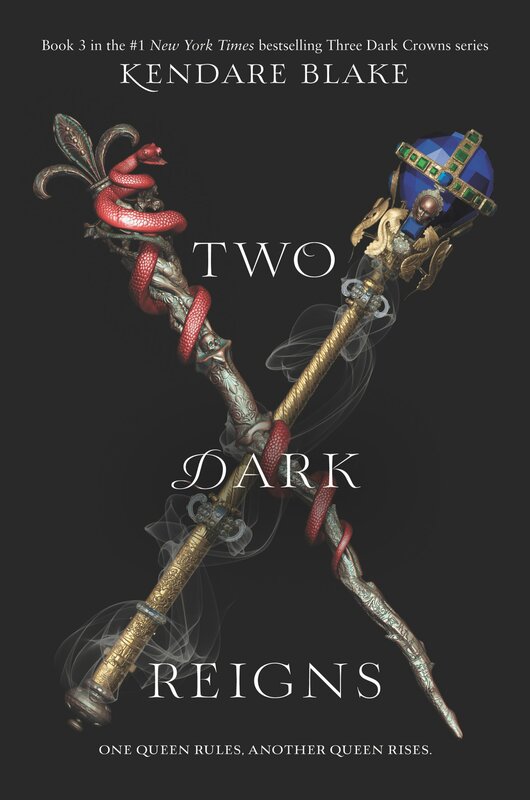 In the third installment of the Three Dark Crowns series, Katherine is struggling to maintain her newly crowned kingdom because the mist has begun acting strangely and she doesn’t know what it means. Meanwhile, Arsinoe and Mirabella are on the mainland trying to find their place in a new world. Arsinoe begins having nightmares about a Blue queen from the past and she thinks they are a message that she needs to return to the island. Jules has found a group of people who believe her to be the rightful queen due to her powers and agrees to go along with their mission as long as it means that Katherine is overthrown. She is still afraid of her powers, but knows she cannot hide from them forever. She also knows she needs to make peace with what she is and not feel guilt or anger about it anymore. The characters continue to development and it’s easy to see all of their viewpoints, which can be challenging with so many main characters. The flashbacks to the Blue Queen help show how the story came to this critical point. This installment carries on where the second one left off and will engage fans of the series, but it is a little disappointing that very little is really resolved during this book and instead more problems arise. Readers will be looking forward to what I’m sure will be a very dramatic conclusion. Theodosia was forced to witness her mother, the queen’s, brutal murder at the hands of the man forcibly taking over their kingdom. For some reason, the Kaiser who now rules the kingdom has kept her alive all these years, but he has forced her to take on a new name (Thora) and endure countless beatings and ridicule in order to learn her place. Whenever her people would rebel in any way he would order Theodosia to be publicly beaten so that she could pay for the sins of her people and he would force her to wear an ash crown in order to mock the fact that her mother was the fire queen. By the time she is 16 he feels confident he has broken her spirit, but he still has three guards watch her 24/7 to make sure she doesn’t get any treasonous thoughts. Her best friend, Cress, is the daughter of the Kaiser’s right hand man who actually murdered her mother. She is very friendly, but Theodosia wonders if she can truly trust anyone in this terrible place that used to be her home. Then, she is made aware of allies in her castle who are willing to give up everything for her and she realizes that she does have the desire to fight for her kingdom and take it back for what remains of her people. The only question is can her and her meager supporters really defeat a man who has made it his mission in life to destroy kingdoms mercilessly? Can they outsmart a man who always seems to be two steps ahead? This book captivates the reader right from the beginning and definitely depicts how hopeless Theodosia feels during this terrible ordeal. Yet as bleak as life is for her she never stops plotting her revenge and jumps at the chance when it is presented to her even though she knows it is risky and dangerous. There are no easy paths for Theodosia and her conspirators, however, and she must live with the consequences. Fans of the Red Queen and Red Rising will enjoy this title. Anna is a trained psychiatrist who hasn’t left her apartment in over a year due to acute agoraphobia. She spends her days watching old Hitchcock movies, drinking wine, doing things online, and watching her neighbors. Her ex-husband and young daughter do not see her much, but they talk often. When she notices a new family move in with a teenage son she begins watching them as she does all the other neighbors, but one day she witnesses something terrible and reports it to the police. Unfortunately, when they investigate Anna’s life begins to implode as she is forced to face everything in her life that is real and everything she has imagined since she has been trapped inside her house. No one believes she saw anything sinister since she is a heavy drinker and has anxiety issues, but she is positive she witnessed something. Did she really see something or is her mind playing tricks on her again? This thrilling mystery will keep mystery lovers intrigued all the way until the end. There are many twists and turns in the plot and even seasoned mystery readers will struggle to put all the pieces together. The main character has many similarities to the Woman on the Train and the Woman in Cabin 10, but each mystery is very different and will satisfy readers independently. Highly recommended for mystery lovers. Imogene Chively has been raised to find a wealthy husband in 1917 England and her family believes they have done just that when she attracts the interest of Ernest, but unfortunately, Imogene is much more intrigued by his younger brother, Benjamin. Ernest is perfectly friendly and accommodating but she feels they have very little in common while Benjamin is an architect’s apprentice and desperately needs her help in improving his drawing skills so that he can bring his architectural visions to life. As the two work together they begin to get closer and closer which makes Imogene wonder if she is brave enough to go against her family’s wishes and reject the heir for the younger working class brother. Meanwhile, a series of unfortunate accidents leads Imogene to believe that someone is trying to do Benjamin harm and no one believes her. She grows more frustrated as the incidents escalate and everyone dismisses her warnings since she is a young woman. Is there someone trying to harm Benjamin and if so why? Will she find the strength to be with the man of her dreams versus the one who can give her a comfortable life? This Junior Library Guild selection mixes light romance with a little intrigue in a historical setting. Imogene is very modern in her thinking for this time, but she is still contained by the expectations of a young lady of her class in 1917. Her growing aspirations as an artist are also an issue for her and she faces the repercussions when she tries to break free from the constraints set upon her by the times and her family. Fans of historical fiction romance will enjoy this lighter title. Serina and her sister, Nomi, live in Veridia where women have no rights and are not allowed to learn how to read. Serina has been trained her entire life to be beautiful, graceful, and alluring in the hopes of attracting the heir to the throne so that he chooses her to be one of his graces. Each year the ruler gets to pick three women or “graces” who live with him in the castle and produce heirs, among other things. This year the heir gets to begin choosing graces and Serina’s family is desperately hoping he will choose her and shower them with favor. Nomi does not believe in this tradition or the fact that women are not allowed an education and has learned how to read secretly. When Serina is sent to the castle to catch the heir’s attention, it is actually Nomi (who had gone along as a handmaiden) who gets chosen. Shortly thereafter Serina is accused of a crime she did not commit and is sent to a prison on a volcanic island where women literally have to fight each other to survive. Each sister must fight for her rights and her voice in their own way. Can they survive to somehow find their way back together again? This book seems very timely in an age of the #metoomovement and women trying to take their voices back. Both sisters have a big struggle ahead of them in very different ways and neither knows who, if anyone, she can trust. The book definitely focuses on female relationships, dynamics, and empowerment but in very different situations between the two sisters. Fans of futuristic books such as The Hunger Games, The Selection, and The Testing will enjoy this title and look forward to the sequel.